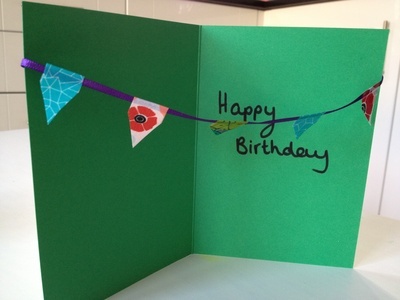 Most cards have their decoration on the outside. This card will give a little surprise as you open it to some festive bunting. 2 stickers or small pretend gem stones. 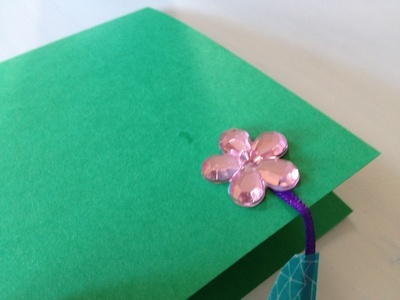 Cut a piece of ribbon the width of your card with a little excess to fold around the sides. 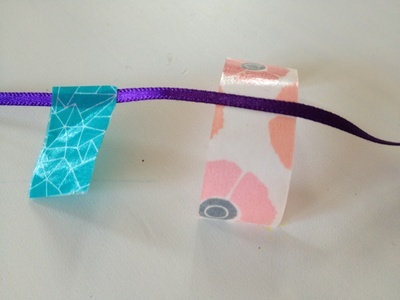 Cut lengths of Washi tape, double the length you want each penant. 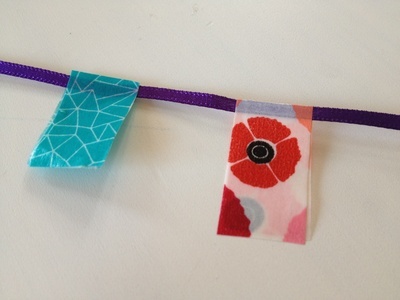 Wrap the Washi tape over the ribbon and repeat at equal distances along the ribbon. Cut the tape into downward facing triangles. 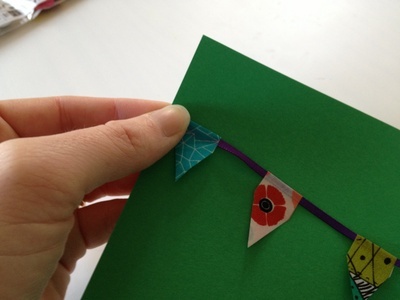 Attach each end to the sides of the card by wrapping over to the front and fixing with a sticker.